rosh hashanah | Yo, Yenta! So I was lamenting the dearth of Rosh Hashanah parodies on Twitter recently (do you follow @yoyenta? Please do!) and lo and behold, my mother sends me a link to this. While it has nothing to do with the Days of Awe, it does involve deli meat, loquacious yentas and bored hipsters, so ya know, it’s super Jewish. I guess it’s funny. But I kind of also wonder who we’ve become when a shivah — a gathering of mourners where, yes, there is usually some delicious snacking because nothing assuages grief like stuffed cabbage — is lampooned as nothing more than a comedic drive-thru window. I know, I’m just sensitive, probably because sitting shivah for someone you actually knew and cared about isn’t all that fun. Maybe I just have low-blood sugar. Here, watch my favorite Fountainheads’ Rosh Hashanah parody from days of yore while I go get a corned beef sandwich. Time for (Local) Honeycakes from Savannah Bee Co.! Listen, we all know I have a honeycake burning problem. Every Rosh Hashanah, my loaves of love turn into shriveled bricks of charcoal, in spite of nice organic ingredients, Sister Sadie’s recipe and a ton of good intentions. For the life of me, I cannot figure out where I go wrong. When they’re baked goldeny beautiful brown, they’re still goopy in the middle. By the time the center sets up into something that doesn’t have the texture of snotty oatmeal, the top is a blackened sheet of death, which is a terrible way to bring in a new year. Did I overgrease the pans? Undergrease? Too much baking powder? Is my convection oven anti-Semitic? Whatever the case, 5776 is gonna be the year this yenta breaks the cycle of honeycake failure. I’m going to start with a new recipe, because even though Sister Sadie and I go way back, I have some serious suspicions that she may be a little senile. 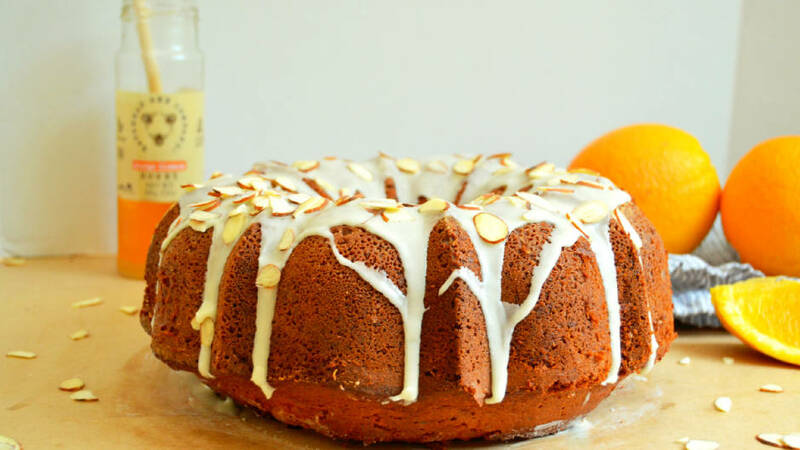 It’s a fabulous excuse to use my mother-in-law’s neglected copper bundt pan, plus it includes directions for a glaze to cover up any burnt spots. Savannah Bee Co.’s food photog and recipe development balabusta Jess Brannen has been contributing some other wonderful recipes to Joy of Kosher, though I’m pretty sure these Pintrest-pretty apple rosette thingies are beyond my baking skill set. Lemme stick to tradition for now. I’ll let y’all know how the cake turns out next week — although you can probably guess if you see smoke streaming from the porch. 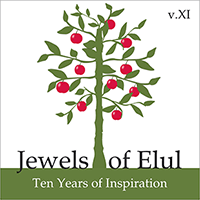 For round 11, Craig asked his legions of fans and followers to submit their favorites, a precious necklace of crowd-sourced gems, if you will: Jewels of Elul: Ten Years of Inspiration is available starting this Friday, Aug. 15, otherwise known as the first day of the Hebrew month of Elul, and will come right to your inbox if you like. The 29 shorts feature Elie Weisel, Anita Diamant (The Red Tent, y’all! ), a whole bunch of rabbis including David Wolpe and Rami Shapiro, Pastor Rick Warren, brilliant feminist filmmaker Jill Soloway, Mary J. Blige, Arnold Schwarzenegger…and me. My mother-in-law’s mind is full of holes. She spends most of the day in a placid fog, a place where there’s nothing left to do but walk the dog and wonder what’s for dinner. Every time it’s chicken, she rolls her eyes and kvetches, “We had this last night!” No one argues with her anymore.The situation is undeniably tragic. She’s only in her early 60’s, has already suffered through cancer and a mastectomy, and her dementia has been diagnosed incurable. Whenever there’s music, she remembers exactly what to do. She snaps, she swings her arms; she’s particularly fond of jazz hands. This is endearing when “Funkytown” comes on the radio and she shimmies around the living room, less so when we’re in line at the grocery store and she sashays off in the direction of someone’s cell phone. My husband and I have made a family pact to never let her dance alone. Often we resemble a circus without a tent, a multi-generational band of spastic merrymakers getting down to the sound of the garbage compactor. Helping someone keep her grace doesn’t always look graceful. We hold faith that God loves us so, and yet still, still, life hurts. Sometimes healing comes from accepting what is. Hope is learning how to dance with it. Reading this a decade later, I tear up all over again. My mother-in-law, bless her, still lives and breathes, but the dementia has rendered her bedridden and speechless now for many years. May all of us dance as long as we possibly can, and may the New Year bring us peace. Thank you, Craig and Co., and I hope y’all will cherish these jewels as we head into 5776. Notice how a dude in red hoodie waving a large object fazes no one. Don’t try that sh*t in Florida, bro.